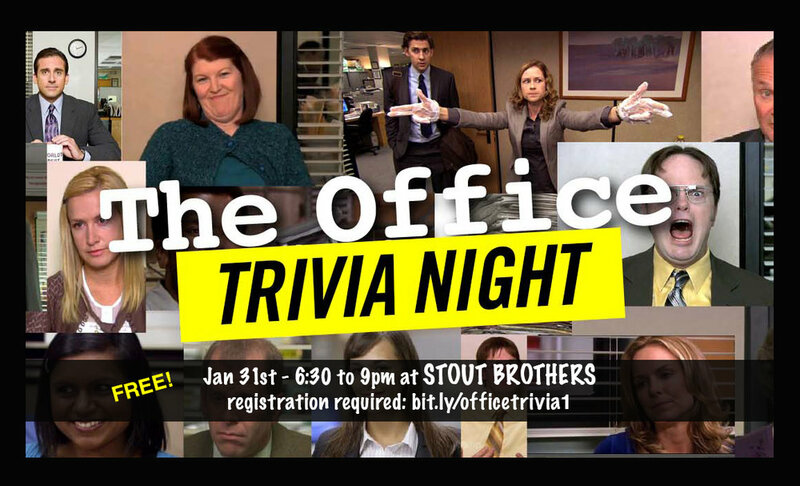 ***Eventbrite tickets will not guarantee you a spot at The Office trivia! We will be letting people in on a first come, first served basis, so make sure you come early! One person cannot reserve spots for a whole team so make sure everyone who wants to play is there on time!